While each experience is individual, it is amplified magnificently when guided and arranged by the people of GoVisitPuglia, who closely know this diverse and rich country. 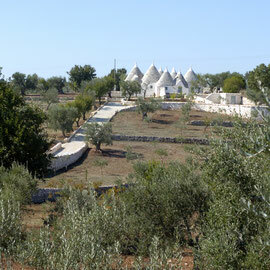 Enjoy the rich heritage of nature, architectures, traditions, savors and flavors, meet and live the Puglia & Matera experience. Discover our proposals or contact us for a unique experience, tailored just for you. 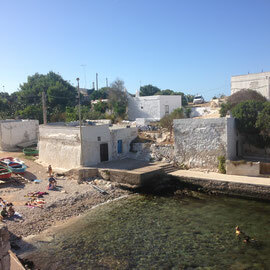 The sun kissed Puglia, at the heel of Italy’s boot, a strip of land stretching out into the Mediterranean Sea. Defined “magical” by the NY Post and “timeless” by the NY Times, classified as a “Top Trip” by the National Geographic, on the list of places to be visited by the Lonely Planet, it is a tourist destination more and more known, but still a long way from the large crowds of other regions of Italy. It is pleasant to visit in every season thanks to long warm and dry summers and mild winters. 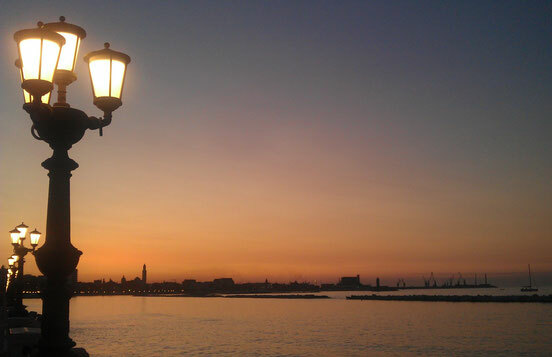 It is easy to reach with direct flights into Bari and Brindisi and many connections by sea and with the good road and railway network. A great number of different cultures have spread their own traces all through the region. Castles, cathedrals, noble palaces, old villages of great charm and baroque cities scattered in a territory full of olive trees, vineyards, beaches and rocky coasts overlooking two crystal seas. 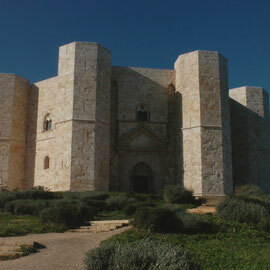 Three Unesco World Heritage sites; the mysterious Castel del Monte, the magical trulli of Alberobello and the Longobards Way with the sanctuary of Monte S. Angelo in the spectacular natural landscape of Gargano. 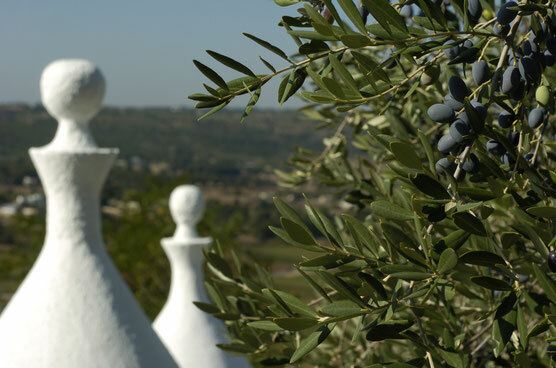 Come to discover the colors, the warmth and hospitality of its people, the flavors of its sea and land… Puglia and the cave houses (Sassi) in Matera are waiting for you for an amazing and incredible experience. 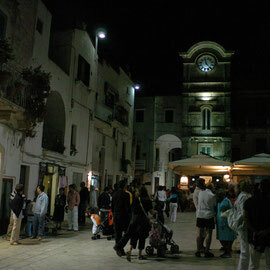 Old Bari is a strange labyrinth of humble houses from which emerge ecclesiastic monuments of very great artistic worth. 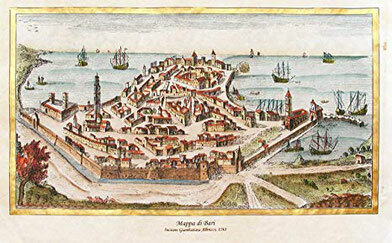 To enter old Bari is to abandon the present and go back through the centuries. Another epoch and another mentality, Catholic and feudal have created these streets, this surprising city closed between walls on a peninsula. Not too many are the edifices which have escaped the injuries of time. But those which remain testify to the fine taste of the men of Apulia, by their significance and beauty. In the silence of the narrow and tortuous streets, of the hidden passages, of the vicoli, and of the courtyards, and….